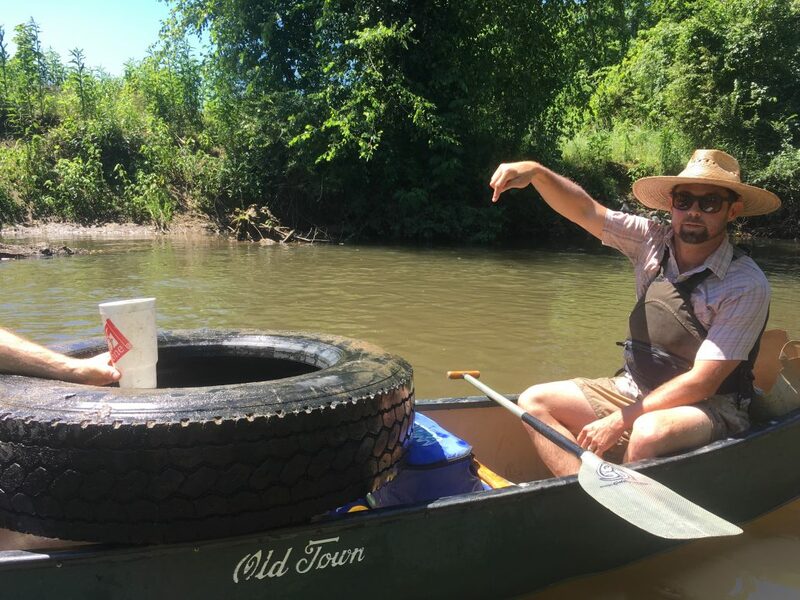 Do you ever sit at work and think, “wouldn’t it be cool to be drinking beer on the river?” I have learned not to leave such important things to fate, which is why we’ve kicked off a new Riverkeeper beer series for this summer. 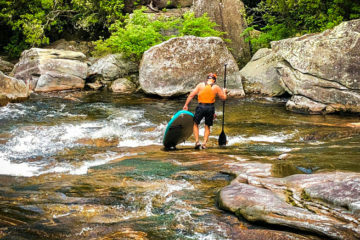 Each month the French Broad Riverkeeper and MountainTrue are partnering with a brewery and outdoor gear manufacturer to create a beer, hold a river cleanup, and paddle all the way down the French Broad River, one section at a time. In May we helped Oskar Blues brew a session pale ale called “Riverkeep it Real”, (aka we poured and stirred some stuff while drinking beer.) The backup name was “Riverkeep Like It’s 1999”. Pretty solid either way. We also drank this tasty beer while lounging in ENO hammocks at the brewery. 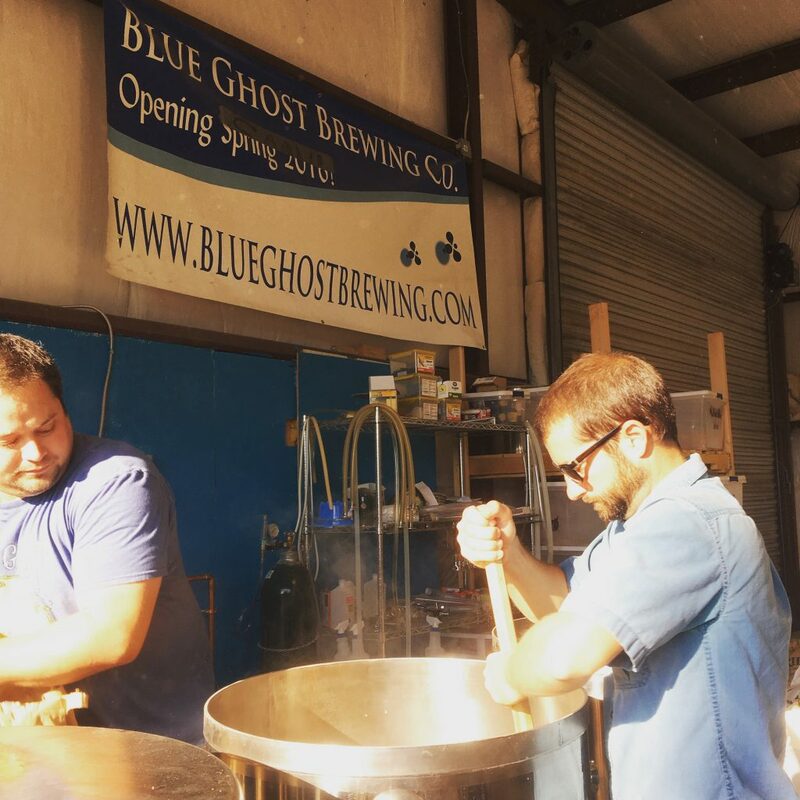 June’s beer collaboration was extra-easy because Catawba Brewing Co. and Astral were our partners, and as it turns out they had already created a very tasty beer, the Bootie Beer. So if it ain’t broke don’t fix it. 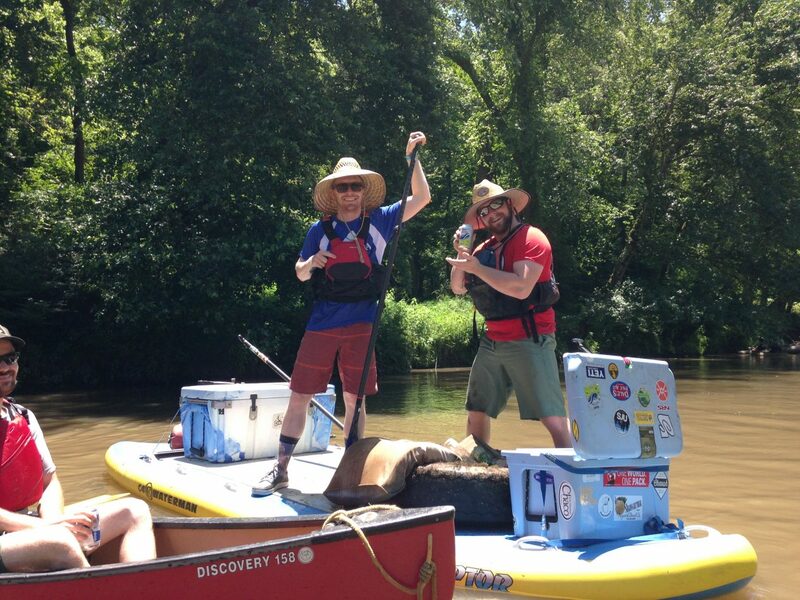 Everyone did a great job of drinking lots of Bootie Beer in June, which means we get to keep the lights on and keep cleaning up the river. 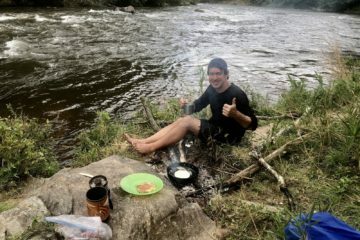 So if you can’t figure out a way to sucker your boss into letting you paddle and drink beer, then come join us and pretend.